Paul Weller In San Francisco – Set List! – Paul Weller News! 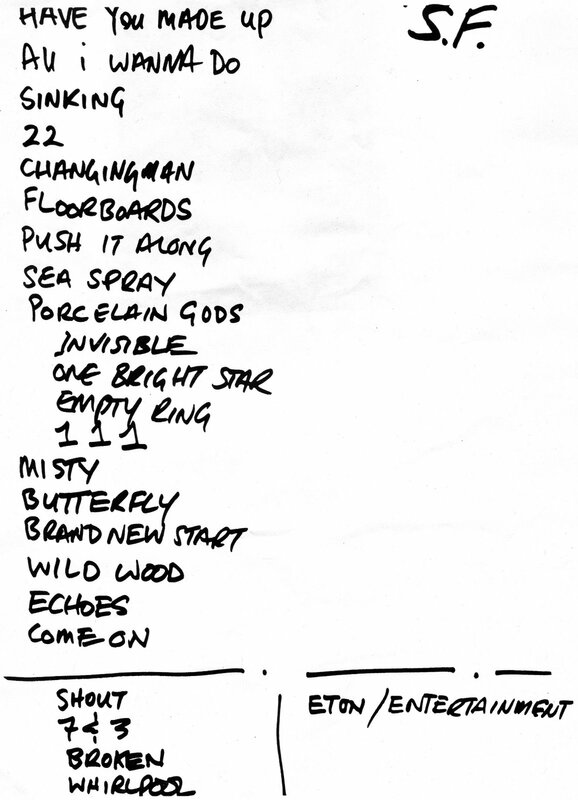 Paul Weller In San Francisco – Set List! 5 Comments on Paul Weller In San Francisco – Set List! Did I miss something? I don’t recall Eton Rifles being played…I thought he went straight into That’s Entertainment? You didnt miss anything. They didn't do 7 & 3 or Eton Rifles. There were a few 'add lib' moments. a great show that the band and crowd were both up for. You are correct. They didn;t do 7 & 3 either. But the improvisation we'll made up for it. A great Weller gig, as usual. they didnt do 7&3 or Eton Rifles but the improvisation well made up for it. There was a bob Dylan cover mixed into the acoustic set and Weller wet into a song momentarily, but I dont recall what it was. Previous Entry Paul Weller’s NYC Show Has Been Cancelled! Next Entry Paul Weller At Coachella!